Army Corps of Hell is an interesting game from the Square Enix team that sees players thrust into one of the toughest battles you will ever come across. The game uses its excellent graphics to really bring to life the game and I have to say it is one of the most addictive games I have played this year. Well worth buying without a doubt as any fan of this genre will really enjoy it. 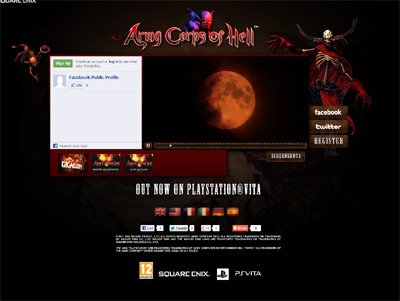 We have also compiled a Review System for this, of which Army Corps of Hell is Rated as Five Stars, the highest possible score available from the Game Review Team.